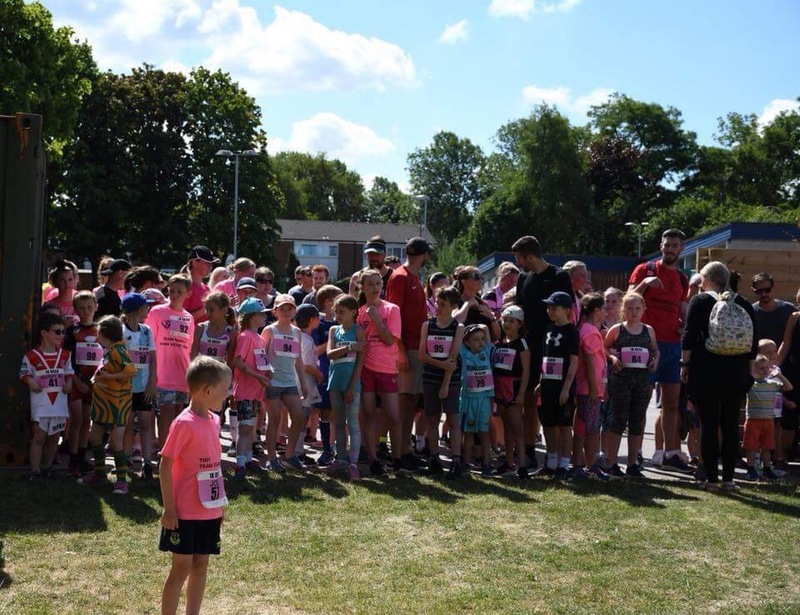 In its third year running the Isabella Rose running club; with supporters and entrants, put on what was a superbly well organised 5 miler event. The volunteer marshals lined the route making for a positively delightful morning. 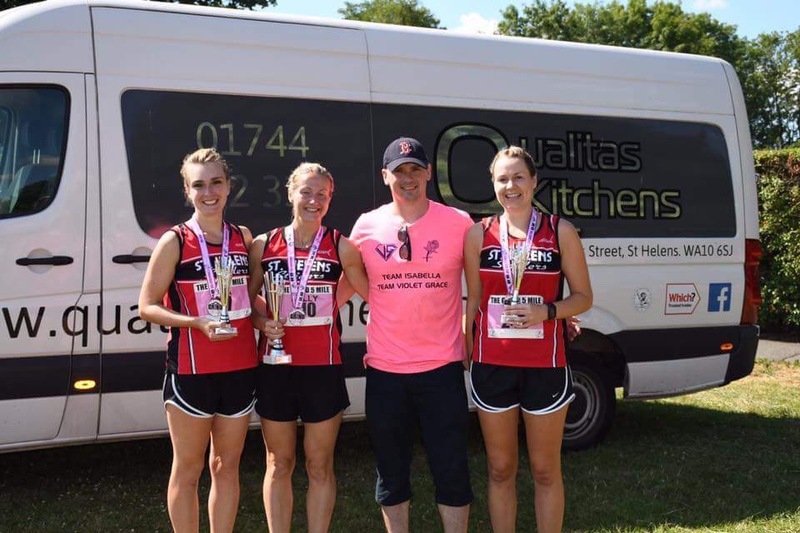 The Striders could not have asked for more; with Kelly Hamilton leading the ladies home for the second year running! She was swiftly followed by Emma Callery and Lisa Cheers; making it a 1,2,3 for the Strider lasses! Jon-Jo Doherty defiantly defended the trophy-winning in 28 minutes flat. 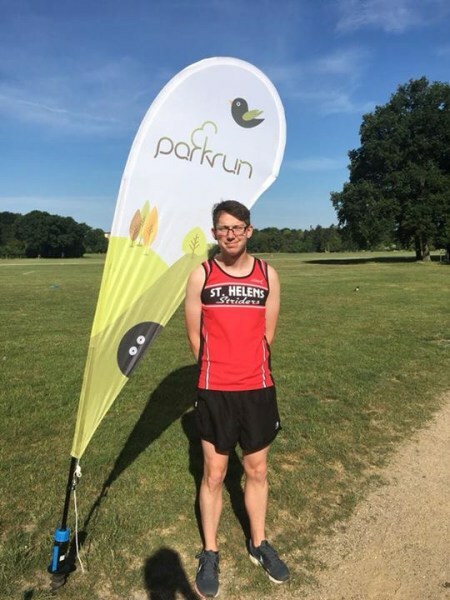 There were also stand out performances from 5th place Daniel Cheetham; PB 29:26. Shaun Phoenix 31.29; Peter Teeling 38:47. Sarah Bowles in her first ever outing for the club 42:28. Zoe Fillingham 48:46. And sister act Laura Edmundson 59:56 and Nicola Edmundson 1:01:20, fought each other home respectively. Gillian Kelly felt the heat but battled home bravely in 1:06:00 with many other Strider athletes involved. Daniel Cheetham impressing with a new Personal Best, and5th place finish. The Isabella Rose Foundation was supported by Violet-Grace’s Gift; and together the two charities hope to raise even more awareness. Adam Westhead from Qualitas Kitchens backed the event and prizes included £100 gift vouchers for both winners! Adam also presided over a tantalisingly tasteful barbecue before the kids race ensued. The event was truly epic! 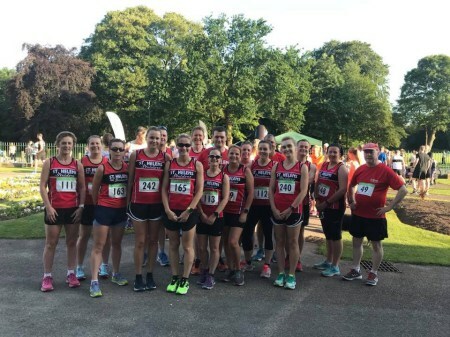 Nicola Donovan asserted herself yet again at the Forest Park Ladies 5k, with a new found PB effort of 26:48: Kelly Hamilton secured 3rd place in Forest park and the Strider ladies secured 1st and second team prizes. Brenda Cahill avidly protected her new found form; and in the Tatton Park 10k, she finished in 53:36. 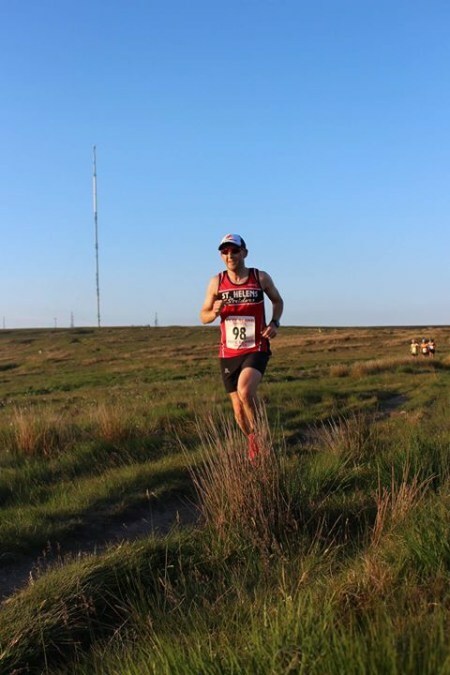 Mark Riley supported by his wife Kerry narrowly missed out on a podium finish in the Barrowdale Trail 13k. 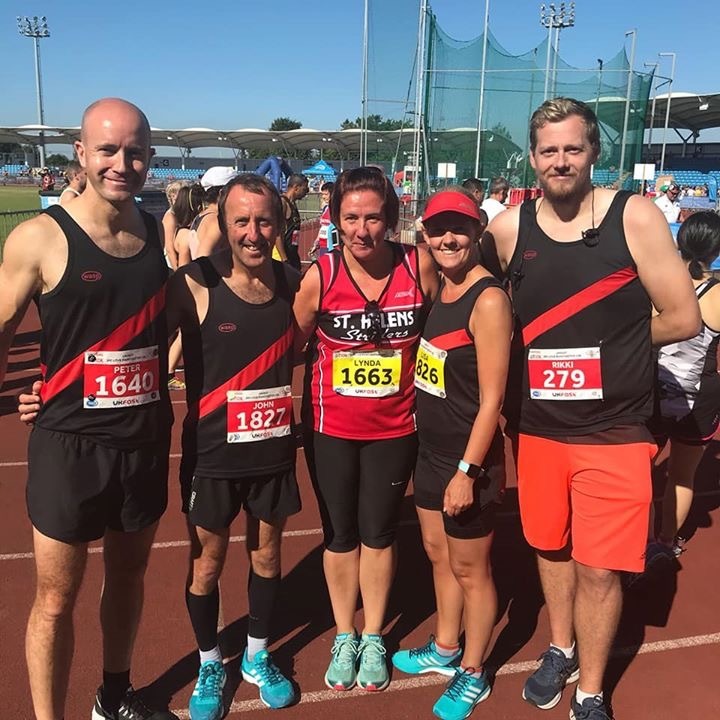 And in the ‘We love Manchester 10k’, representing the Striders in fine rhythmic fashion, Lynda Butchard achieved 1hr 7mins flat. The Tour of Merseyside takes place over the course of one week, and encapsulates 6 races and covers 52 miles. Rachel Tickle, Katie Taggart, Colin Wilson, and Pete Medlicott courageously completed the course. Yesterday, in Austria, Strider Richard Seville became an Ironman. 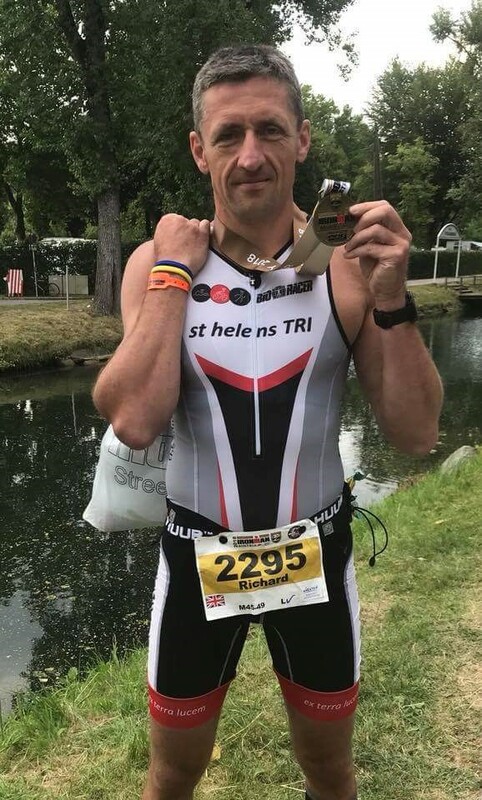 In order to complete this gruelling race he needed to complete a 2.4 mile swim in open water, cycle 112 miles then to finish, run a marathon and all in under 17 hours. Seville showed his class as an athlete by finishing in an impressive 10 hours 40 minutes. Achievements such as these take a great deal of dedication and Seville certainly put the effort in with his rigorous training plan. He described the final stage, the marathon, as being particularly tough as temperatures were so high. High temperatures were also a feature in all of this weekend’s UK races. 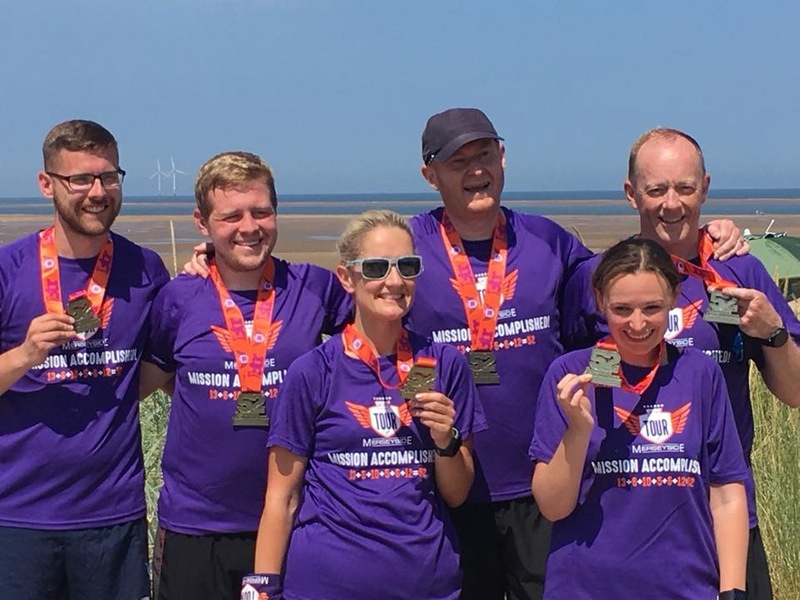 Peter Teeling described conditions as ‘horrendous’ in the Southport half-marathon on Sunday which was completed by 15 Striders. Scott Robertson was first Strider to finish in an impressive 1:28:38. He was followed by Martin Ballard at 1:37:17 and Anthony Ellis smashing a personal best time of 1:38:26. First female Strider speeding past the line was Hannah Whittaker in 1:40:20 with Wendy Davies following her in 1:47:59. 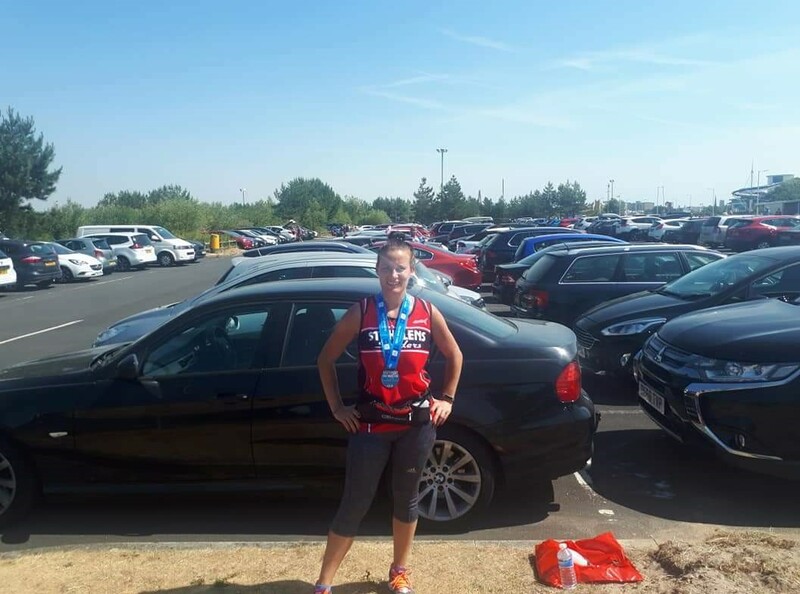 Shelley Hughes was delighted to complete her very first half-marathon with an excellent time of 2:12:49. 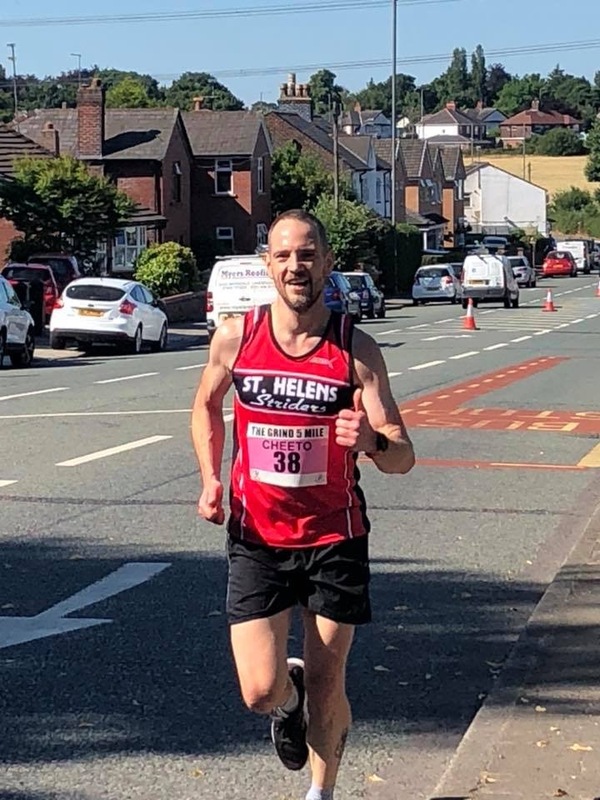 Another popular race this weekend was the Alderley Edge 10k. The ever speedy Jon-Jo Doherty finished in 11th place in a time of 35:39 followed by Ian Wright in 43:47. Ann Johnson was the first Strider lady to finish in 49:53. 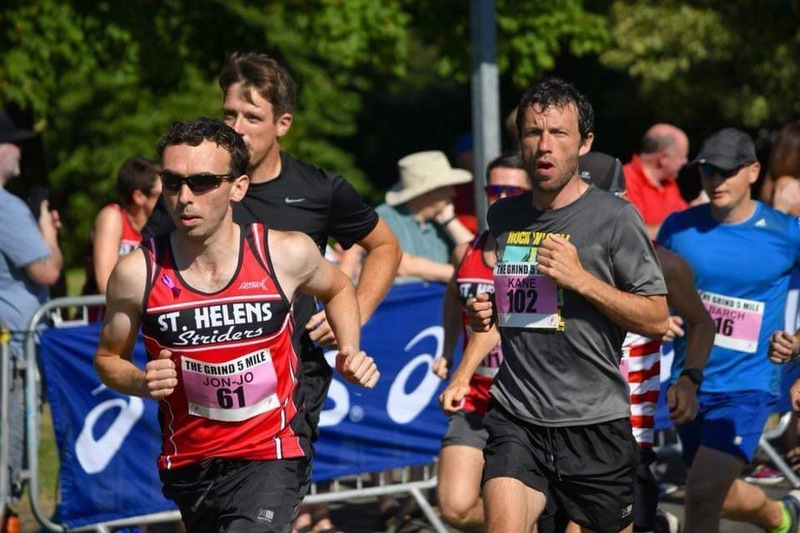 Kevin Brennan and Sian Maguire were out in the fields competing in the Warrington Running Club Summer 5 Mile Trail. Brennan finished in 35:03 with Maguire following at 45:54. The event last Wednesday evening took place in sizzling temperatures. Heroic efforts were made, and ‘the five miles felt like 50’, according to Nicola Donovan; who gained herself a new personal best! All concerned thoroughly enjoyed the team camaraderie. 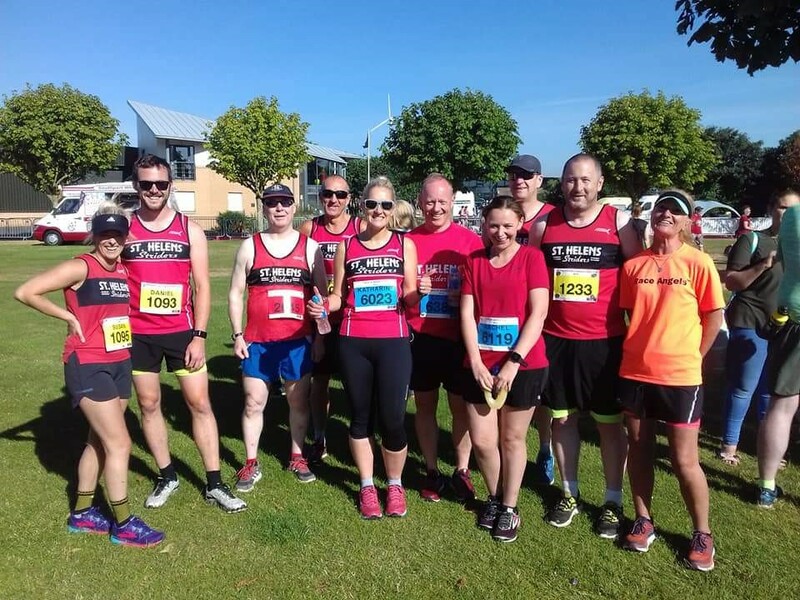 Kylie Maguire, Strider ‘race coordinator’, has encouraged even greater numbers for round 5 and the Penny Lane 10k in Liverpool. 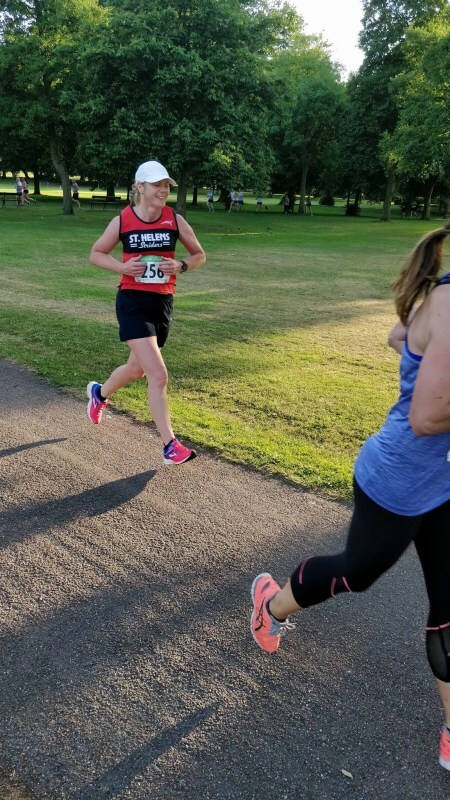 In Chorley on the same evening Nicola Howarth produced a determined effort in Race 2 of the Astley Park series covering 4.2 miles in 40:47. Elsewhere Kevin Brennan and David Navis combatted ‘Henderson’s End Fell Race’, that saw extraordinary stamina and mental discipline as they pushed 7.5 miles and 14000ft of ascent. Navis amazingly had already taken part in the Birkenhead 5 miler the previous day! 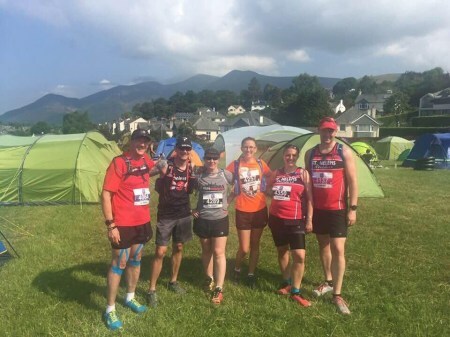 In the 25km (16 miles) ‘Keswick Mountain Festival’: Claire Lyndsay, Elizabeth Phillipson, Darren Eccles, Rebecca McKenna and David Briscoe all deserve a special mention, for their tenacity in tackling such ferocious hills. Sarah Cameron finished 1st lady (10th overall) in the South Downs Way 100 miler. In an unbelievable 18 hours 14 mins and 38 seconds. 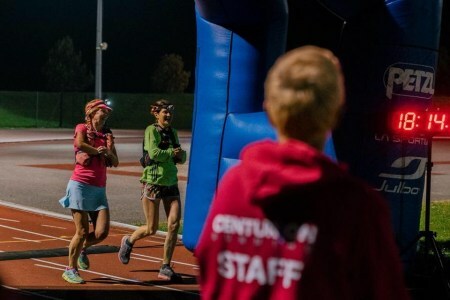 When asked how one accomplished such a feat, she said ‘I just took it from aid station to aid station and didn’t think about the bigger picture’. And with it yet another club record, from the Strider marvel living overseas! Anthony Ellis Faelledparken parkrun, in Copenhagen.